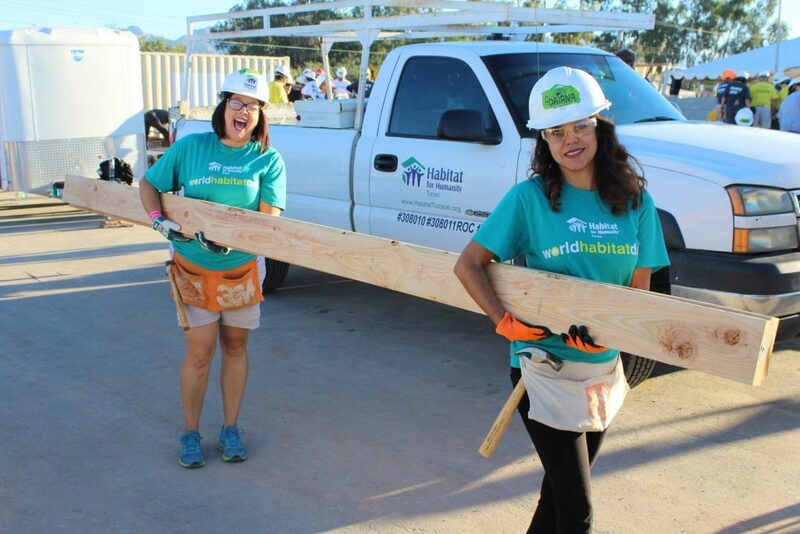 Adriana partnered with Women Build to build the home of her dreams, and give the gift of stability, shelter, and self-reliance to her two sons. Currently, Adriana and her two sons, RJ and Gabriel, live with Adriana’s parents to save money. The three of them share one room. The boys sleep in bunk beds one side of the room and Adriana has her bed on the other side. 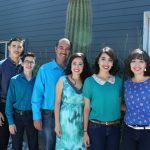 Adriana is a Tucson native who grew up in Marana and currently works as a pharmacy technician. Adriana has always wanted to give her two sons the kind of stable home her parents had given her and her sisters. 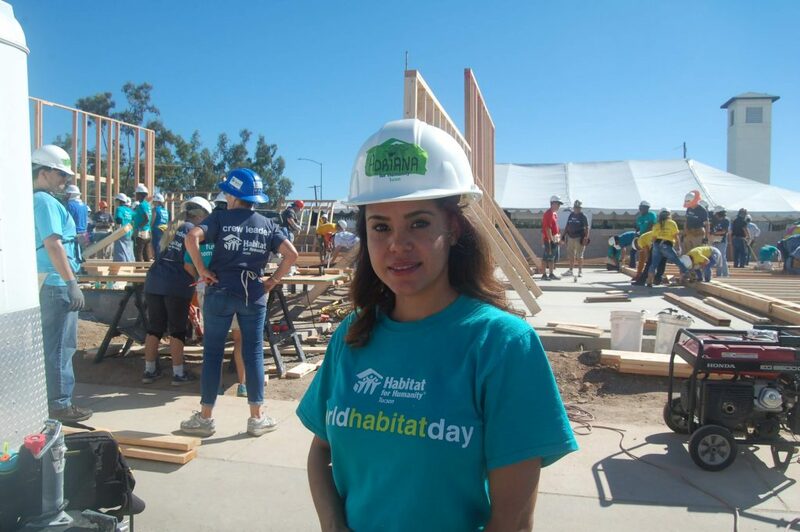 Adriana had been applying to become a Habitat homeowner for a year. She was persistent, applying every three months until she was finally accepted. The news came at the right time. “It was so exciting because when all of this happened, it was my boys and I on our own. I had one of those devastating feelings like I’ll never be able give my boys what my parents had given me and my sisters. But now all my dreams are coming true. We’re doing it,” says Adriana. “And a BBQ,” adds RJ, which will be a house warming present from his grandfather. “He’s very excited about barbequing. He’s been practicing every weekend with his grandfather,” says Adriana. The boys are most excited about their own rooms. Gabriel’s birthday is in June and his birthday wish was for his mom to be accepted into the homeownership program. A couple of weeks after his birthday, his wish came true. “It’s so awesome that she’s building our house. She’ll be building our rooms!” says Gabriel. So far, Adriana has done most of her sweat equity hours at the HabiStore and most recently, completed a ‘A Brush With Kindness’ project. “It was a nice change to do an improvement project. We painted the exterior of the home, put up gutters. I’ve never done anything like that before,” says Adriana. Adriana feels thankful for this opportunity and the people that have supported her along the way. “I feel lucky to have such a wonderful support system, especially during this time. My parents are very positive and my boys really keep me going. They run to the car when I get home. It’s nice to be greeted that way at the door after a long hard day,” says Adriana. She looks forward to her boys seeing the whole process of the program and the accomplishment at the end. She hopes it will encourage and inspire them to them to go on and do great things. 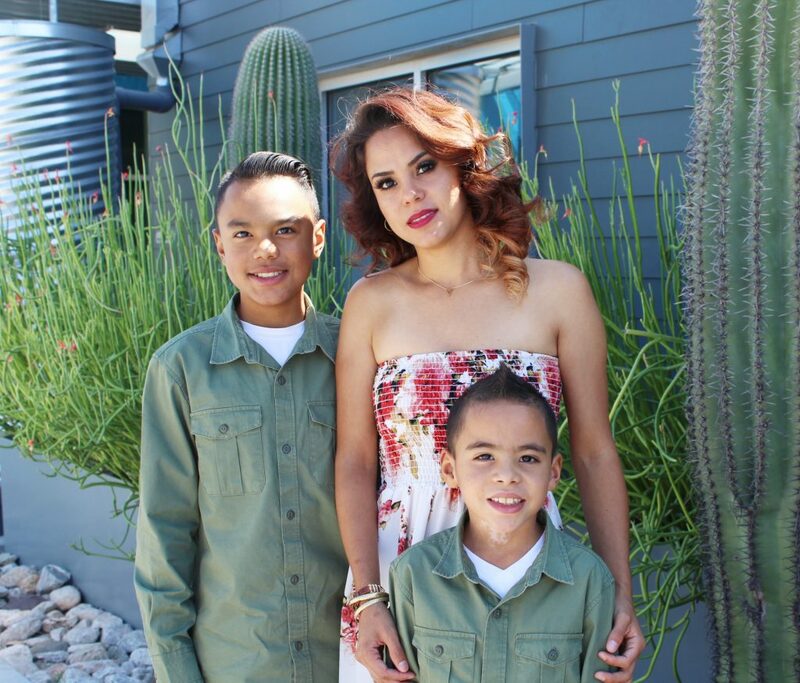 “All their childhood memories will be in the home that I built for them,” says Adriana. 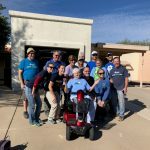 Women Build empowers women from all walks of life to help build affordable homes for hardworking and deserving Tucson families. 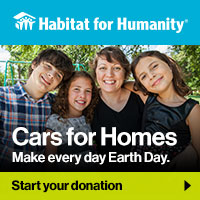 You could help us build our next home!